According to the National Institute of Mental Health in the United States, postpartum depression is a mood disorder that can affect women after giving birth. 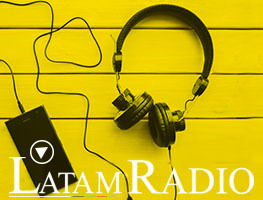 LatinAmerican Post talked with the general psychiatrist Darío Quimbay to resolve some doubts about this issue. 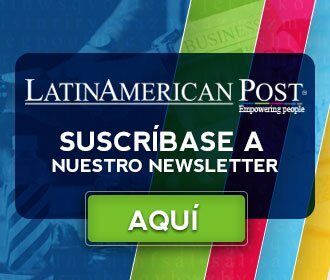 LatinAmerican Post: When does postpartum depression appear? Darío Quimbay: The criteria of time is that they should appear between the second week until the sixth week. However there is discussion and some say that depressive symptoms can be found in the first six months. The last classification of mental health illnesses uses the term peripartum, that is, symptoms may appear even before delivery. LP: How to identify that a mother has postpartum depression? DQ: The symptoms that characterize a postpartum depression are the same symptoms of a major depression: sadness for more than two weeks, appearance of suicidal thoughts, ideas of death, feeling of hopelessness, loss of energy, feeling of failure, self aggressiveness or aggressiveness against the newborn, alterations of sleep, appetite, crying, permanent irritability and lack of concentration. It must be differentiated from what is known as postpartum blues, which are transient moods that last up to two weeks and usually have to do with women who have given birth feeling very tired. The symptoms of blues are crying, sadness, high expectations for parenting and fear of not being able to raise or fail in the upbringing. It should also be differentiated from what is known as postpartum psychosis, which is a more serious psychiatric illness in which there are hallucinations (voices are heard, images are seen and there are delusions outside of reality). Maybe you're interested in reading: Be aware! Do you know what gestational diabetes is about? LP: What are the risk factors? Who is more likely to suffer from this disorder? DQ: Risk factors can be divided into biological, psycho-social and environmental factors. Then, those who have previously had depression are more likely, women who have not had prenatal control, those who have depressive symptoms during pregnancy and do not receive support, those who have gone through a love break, job loss, adverse economic situation, or those who have been exposed to toxic substances, do not have access to health services and have given birth at home. The greatest risk is for women of childbearing age from 18 to 45 years. In addition, women have the possibility of developing depression twice as much as men and in the postpartum state, because the hormonal influx that occurs at the time of delivery produces a fall in hormones, especially estrogen and progesterone, which makes that chemical changes are generated in the brain and the postpartum depressive symptoms are detonated. LP: Why do not all women suffer from it? DQ: Not all women have postpartum depression because several risk factors must coexist to appear. In fact, only 10 or 20% of women have depressive symptoms that warrant treatment. LP: How is it treated? DQ: The treatment of postpartum depression begins with a good and early identification that can change the prognosis of the evolution of the disease and prevent complications. The treatment can be done with psychotherapy, pharmacotherapy, or a combination of psychotherapy and pharmacotherapy. However, not all women who have postpartum depression require drugs, this should be evaluated in the context and by a specialist. The drugs that are used are the same anti depressants that are used to treat major depression. Medications can appear in breast milk in very low concentrations and there is a risk of some symptoms in the newborn, such as crying, irritability and sleep disorders, without these causing major complications. In fact, it is more dangerous not to treat because the same symptoms can appear and establish an alteration of the bond between the mother and the child, generating an insecure bond that in the long term generates more inconveniences than the treatment. However, this depends on the severity of the case, since in some it is necessary to isolate the mother to prevent neo-naticide. LP: How to prevent postpartum depression? DQ: Before getting pregnant, the woman must attend a comprehensive control with a gynecologist, psychologist or psychiatrist to assess risk factors. Also, have prenatal control and comply with it to assess risk factors and presence of symptoms that can predict the onset of a postpartum depression. Translated from "Todo lo que debes saber de la depresión posparto"